Amidst all the other great reasons to volunteer abroad, there are the close friends you will meet along your journey. Sara is one of those, and she recently came to see my sister and I, and of course the wonderful city of Chicago, Illinois. I actually got to play a bit of a tourist in my own city, which was nice to slow down and soak up the history and vibe of the city I call home. 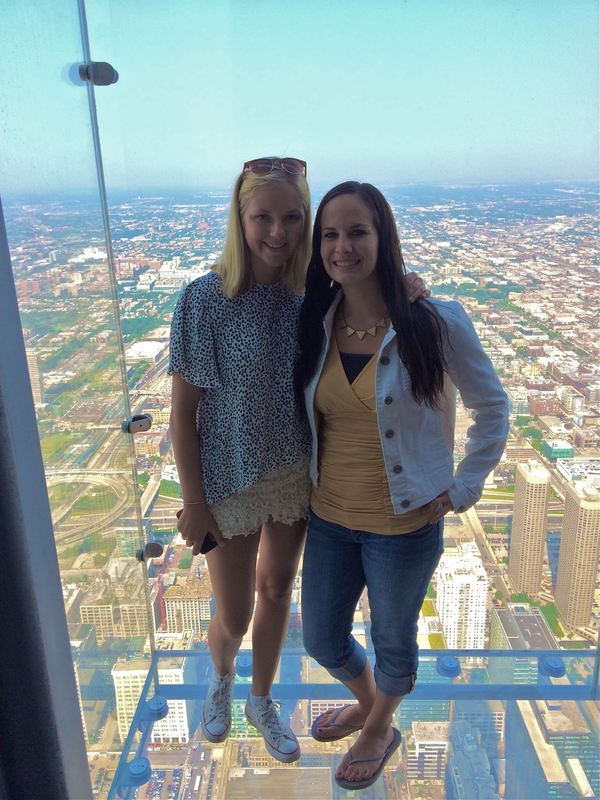 She was in town for two weeks, so I will cover some of the highlights of our Chicago experience. One of the primary tourist attractions is the Sears (Willis) Tower. I used to walk past the building every single day on my way to work, yet I had never been to the top. Well, I finally checked that off my Chicago list, got a great view of the city, and took a classic photo on the Skydeck ledge. Next up was lots of walking. We headed down to Michigan Avenue and stopped in the cultural center where you can get free tours of Millennium Park, and other Chicago sites. Our tour guide was very informative and was definitely enthusiastic about the park. Check the times that are offered online before you go, but it is a great way to learn more about Chicago’s past, present, and future when you are on a budget! 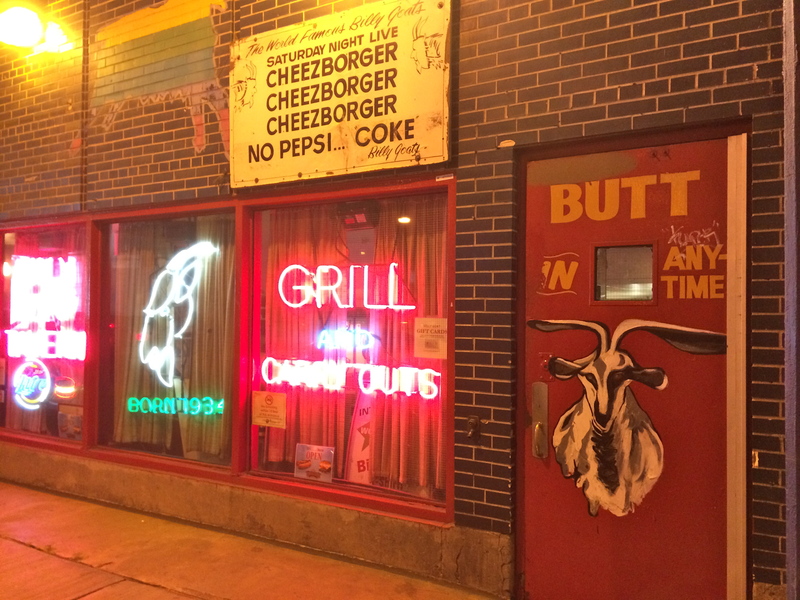 We worked up an appetite, so we headed over to the classic Billy Goat Tavern for a nice, juicy cheezborger! Then we topped off the day with Garrett’s Popcorn, of course, and some shopping on the Magnificent Mile. 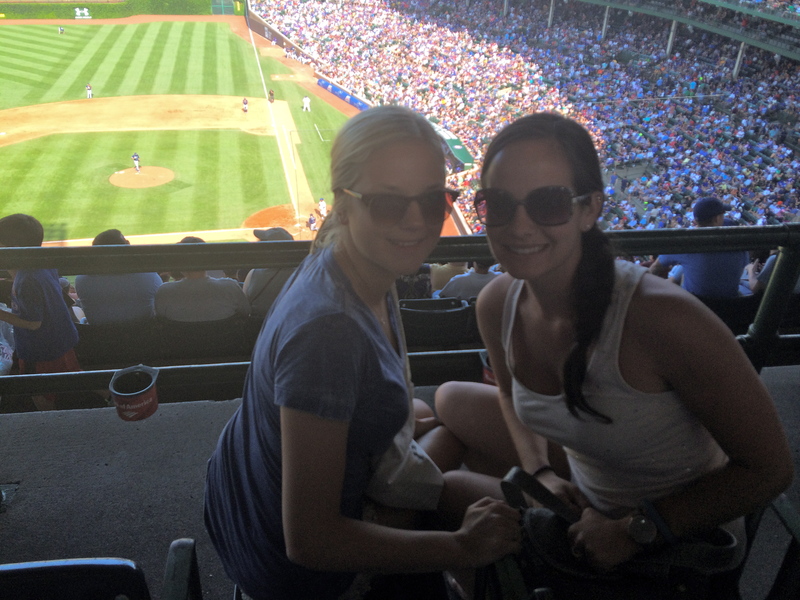 We also made sure to include America’s favorite pastime by going to see a Cubs game. Baseball, beers, and hot dogs made for a great Friday afternoon! 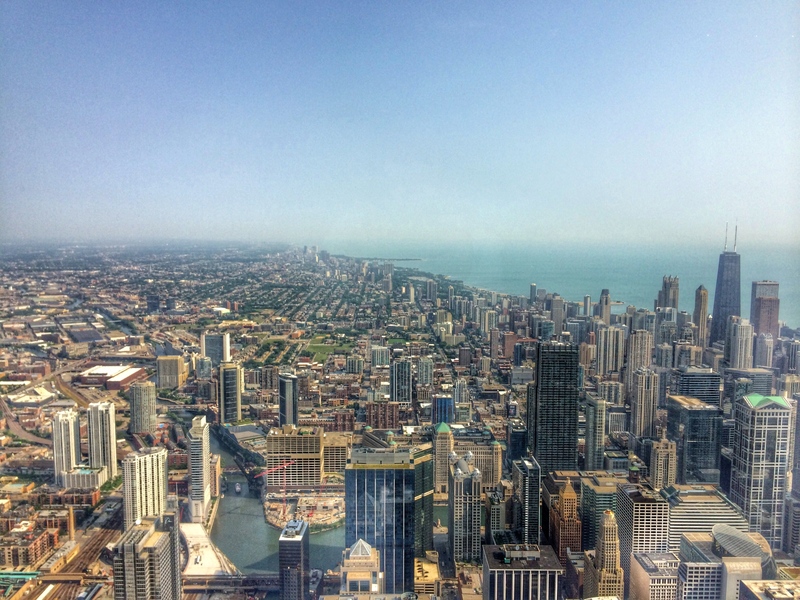 See more of our Chicago adventures in next week’s post! 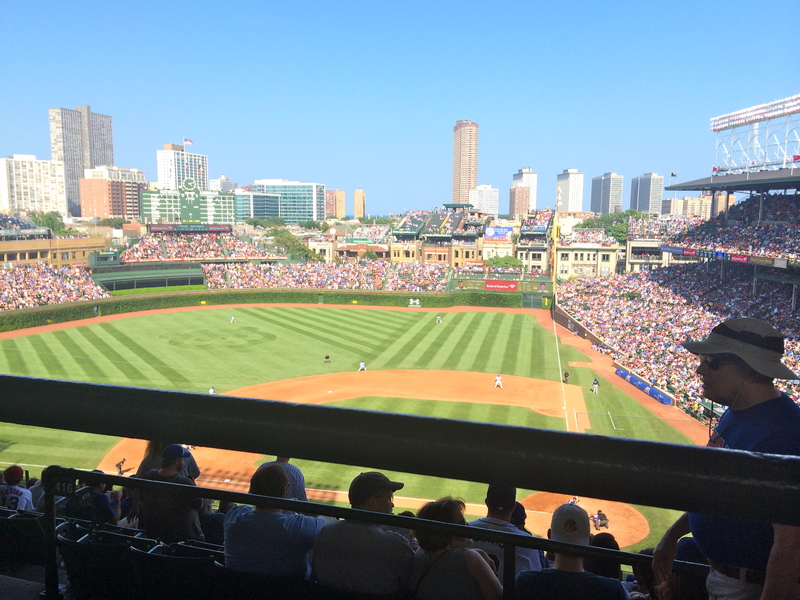 Cubs games are always a fun time, especially hanging out in Wrigleyville afterwards. But nothing can beat those Chicago views! What a great view from the top of the Willis tower! 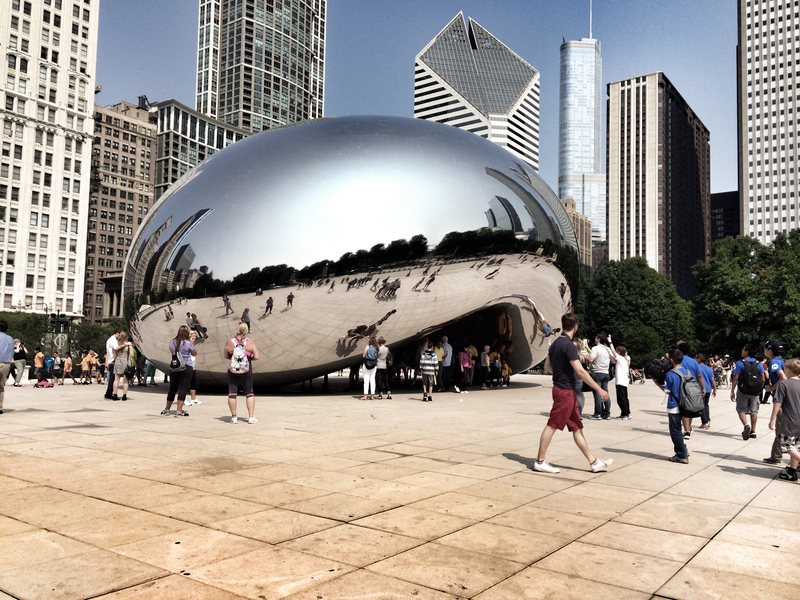 I’ve never been to Chicago, but I’ve always wanted to take photos of the bean. It looks so cool! Chicago! One of my fav cities, the Bean and the Sears Tower I checked off too. A bit scary standing on those see through windows but worth it for the pics! It sure can be nerve-wracking standing on that glass but it make for a great view and photo! I’m only 9 days away from going back home and I miss Chicago sooo much! I agree, it’s awesome to get to show someone else around and “play tourist” in your own city. It gives you an excuse to actually do all the awesome things that you know about but don’t always make the effort to do! Woohoo, sweet home Chicago! It was such a blast having visitors and getting to do all the touristy activities I had never done before. Chicago has always been mind kinda town. I love Chicago! Thanks for reading Lisa! It’s always interesting to hear the reactions of international guests to things that we may consider common. Thanks for reading! Great pictures – the Skydeck looks fab but scarey!